In accordance with the Federal Forestry Agency briefing session schedule for 2017 the director of the Research Institute of Forest Genetics, Breeding and Biotechnology O.M. Korchagin gave the report focused on the Institute’s and Forest Biotechnology Center’s general activity and international practice. The meeting was chaired by Deputy Head of Federal Forestry Agency N.S. Krotov. It took place in the conference room of the Federal Forestry Agency on 27 September 2017. In his introductory speech Nikolai Krotov noted the importance of the Forest Biotechnology Center for the forest industry and opened the floor to the main speaker. Oleg Korchagin made three main points. The first one regarded the Institute’s research work in general. The Institute received its legal status of budgetary institution at the end of 2013, so the report has become, in essence, a statement of the performed work. The second one was to demonstrate the Centre’s activities and the third one – to summarize the Institute’s international activity results and achievements. Oleg Korchagin began his report with the historical background of the Institute. He acknowledged the accomplishments of the Institute’s scientists who established a large experimental facility of more than 900 units with a total area of 10 thousand hectares. This experimental facility includes arboretums (128 ha), forest seed plantations (106 ha), plus tree mother plantations (25 ha), forest test plantations (1018 ha) and others types of plantations. Oleg Korchagin specifically noted that the Institute has been fully fulfilling the plan of financial-economic activity for all 4 year of being on budget funding. During these years the number of young scientists has almost doubled, all of them are actively involved in the various types of government-funded researches as well as in contractual R&D projects. Some of them are research project coordinators and grant project coordinators. The Institute’s young scientists have won several top places in the young scientists competitions conducted by Federal Forestry Agency. Altogether during 2014-2016 they have won 6 prizes in total and have sent 4 applications in 2017. 5 patents for selection achievements of poplar varieties ("Bolid", "Veduga" and "Stepnaya lada") and Scots pine varieties ("Ostrogozhskaya", and "Krasavitsa"). an approval has been received for the poplar variety "Breeze". 3 applications for inventions in biotechnology have been sent. an approval has been received for the long-term in vitro storage method for birch microplants. Currently, 2 applications for pedunculate oak and Karelian birch varieties are being prepared as well as one patent application for the invention. The Institute’s publication activity has also greatly increased as well as its index of scientific citation. This fact is shown by the objective data of the information-analytical system SCIENCE INDEX: the total number of the Institute’s publications in Russian Science Citation Index for the period of 2013-2016 – is 463 (6 Scopus). The number of citations of articles over the last 4 years has increased almost 8 times. The Director of the Institute highlighted the work of the Forest Biotechnology Center. 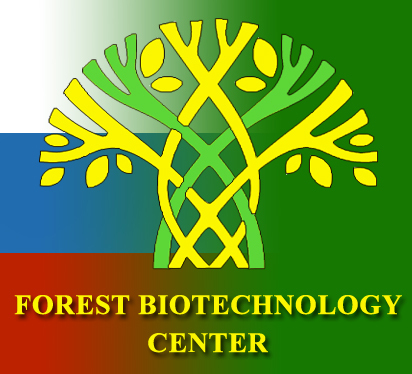 The center is established in compliance with clause 58 “Establishment of the Forest Biotechnology Center” of an implementation plan (“roadmap timeline") for "Development of biotechnology and gene engineering", which has been approved by the government of the Russian Federation on the 18th of July, 2013, № 1247-р. Upon an initiative of the Center in February 2014 there was established a permanent consultative body – the Interdepartmenal Coordinating Research Council of the Forest Biotechnology Center – which coordinates the scientific and technical programs and projects regarding forest biotechnology. 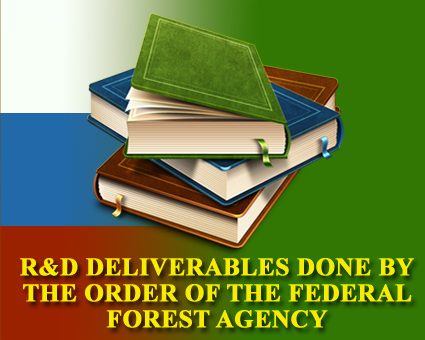 The Council has developed the main directions of development of forest biotechnology in the Russian Federation. It has been decided that an expert working group should be created for each direction headed by the most distinguished scientist in the respective field. All the 12 expert working groups have been formed and their respective coordinators have been approved. There have been 7 meetings of the interdepartmental scientific and coordination Council of the Forest Biotechnology Center. In accordance with the protocol resolution of the Interdepartmental Council of the Forest Biotechnology Center a «Regulation on the in vitro forest tree plants collection» has been developed and subsequently approved. Currently our experts are working to create a national electronic gene bank database, which should combine cryobank DNA storage, in vitro plants collections and collections of biotechnological forms of forest species. After having reported that the Director of the Institute gave a detailed account of the main scientific directions and achievements in the field of national and foreign forest genetics, breeding and biotechnology. He also gave a detailed analysis of foreign scientific centers and tree species with which they work for every scientific direction. For example, in the field of forest genetics, Korchagin mentioned that the Institute is conducting researches on almost all scientific areas defined by the IUFRO Conference on forest genetics in 2013 (British Columbia, 23 participating countries) and the IUFRO World Congress in 2014 ("Sustaining Forests, Sustaining People: The Role of Research", 100 participating countries). The modern forest breeding deals with a lot of issues, such as breeding for fast growth, for pests resistance and diseases resistance, for improved wood and stem quality, for yielding capacity, resin productivity and decorative value. The speaker gave the data on the productivity of some promising poplar forms (produced by the Institute’s scientists) that 2, 3 and even 5 times exceeds the control. The Institute has conducted the analysis of structural, dimensional and physical-mechanical characteristics of wood of the promising 40-year-old poplars forms which were grown in populetum and tremuletum of the nursery forest. Wood of the experimental poplars has all the necessary structural and dimensional characteristics and physical-mechanical parameters, the optimal fiber size ratio (the ratio of average fiber length to its thickness). This also indicates the good prospects of poplar breeding in the Institute for the needs of pulp and paper industry. The scientists of the Institute for the first time in 35 years have managed to pinpoint destabilization of population gene pool of pines – the fact that leads to deterioration in the quality of seed progeny and sustainability of the population, which can be followed by destruction of pine plantations and hereafter may cause the desertification of the southern areas, dust storms, etc. This alarming situation requires well-timed actions. The scientists of the Institute have also selected the first Russian drought-tolerant plantation of Scots pine Ostrogozhskaya, the patent on which has been received in 2017. Apart from this the report highlighted the issues of the plantation forestry. The global wood demand is increasing and resources are scarce and for various reasons they continue to dwindle. The world is coming to the threshold, after which the demand for wood will significantly surpass the annual growth in the available natural forests. The main advantage of the plantation forestry is productivity. In general, the annual growths on different forest plantations of the world ranges from 7 to 30 m3/ha per year. In addition, the cultivation costs (excluding the land values) can vary from 1500 to 2500$ per hectare for conifer forest plantations and from 1800 to 4200$ for deciduous forest plantations. For the temperate zone the most promising deciduous tree species for plantation forestry are poplar and willow. Long-term field trials of plantations established by the Institute have confirmed the effectiveness of the developed technology and the possibility of their use in order to obtain high quality planting material in volume in a very short time. In addition to this the planting material obtained by this technology will preserve the valuable characteristics of the parent trees. There have been received three patents for poplar cultivars obtained by the Institute). Referring to the issues of applied biotechnology, Oleg Korchagin highlighted the achievements of clonal micropropagation (organogenesis, somatic embryogenesis) which are used for producing planting material of economically valuable forms of woody plants that do not respond well to vegetative reproduction. Such techniques can be used in order to obtain various purpose-oriented forest plantations. One of the promising approaches for softwood and hardwood vegetative propagation is somatic embryogenesis (SE). It can provide a so-called ”artificial seeds”, which will let us reduce the cost of planting material about 10 times and increase the efficiency of its obtaining. Researches on somatic embryogenesis in Russia are currently under scientific development. The director noted that technically the Institute already has sufficient scientific potential and resource base, for example, in 2017 it has obtained the state of the art equipment that costs more than 80 million rubles. So the Research Institute of Forest Genetics, Breeding and Biotechnology is able to work on these promising directions. One of the still unsolved problems is the clonal micropropagation of mature conifer trees (especially Scots pine) and hard-wooded trees (especially oak). The Institute is currently working on the technique for obtaining viable, safe from infection oak microplants from 80-year-old tree. The first serious move in this direction has already been made, the Institute’s scientists have obtained the primary viable tissue culture with active morphogenesis. If they are able then to transfer the microplants to the open ground, it will be a major scientific breakthrough. The Institute holds leading position in Russia in the development of tissue culture techniques for valuable specific form of Karelian birch with patterned wood as well as for those productive and rot-resistant forms and hybrids of aspen which do not respond well to vegetative reproduction, fast-growing triploid forms of poplar with high quality of wood, decorative birch forms and productive willow forms. These forms and hybrids have been put into practice and are now 15 - 23 years old. There are currently unique forest trials of this age created by in vitro technology in Russia. The use of the developed in vitro techniques will make it possible to obtain high quality wood in volume in a very short time. The long-term field-testing of these techniques proves their high efficiency and possibility of their application for mass production of high quality planting material which preserves the valuable characteristics of the parent trees. All this creates a scientific basis for sustainable provision of good planting material with desirable target characteristics for special purpose-oriented forest plantations in order to supply wood for the pulp and paper industry and various woodworking enterprises. As the gene pool of forests become more and more depleted as a result of man-caused pollution, global climate change, fires and other causes, the preservation of the valuable items of gene pool (ex situ conservation) become one of the hottest topics of modern forestry. The Institute has developed the long-term (over 20 years) in vitro storage method that can be used for the collection of valuable genotypes of deciduous tree species. The method uses hormone-free nutrient solutions and make it possible to preserve economic and genetic value of plants. It can not only store plants but also allows us to replicate valuable genotypes quickly in a very short time and reduce their cost price. The effectiveness of this method is confirmed by multiple planting of in-vitro plants on the nursery garden and the following assessment of their identity to the original genotypes. In 2017 the Institute has applied for a patent on «long-term in vitro storage method for birch microplants». At the conclusion of the report, the director of the Institute highlighted the key issues of the Russian forestry on which the Institute is ready to work using the scientific methods of forest genetics, breeding and biotechnology. After the speech, the speaker was asked numerous questions, and gave detailed answers to all of them. 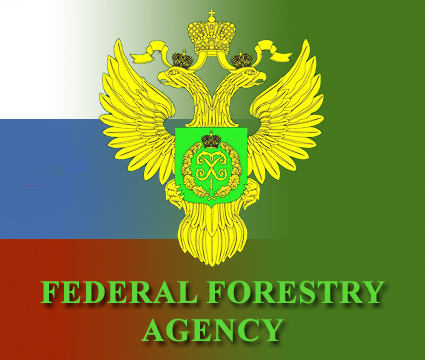 There followed a heated debate after which the Deputy head of the Federal Forestry Agency Nikolai Krotov thanked the speaker and all participants for their work. The Protocol of the meeting will be published on this web site as soon as it is submitted.